Phil’s Brisbane upholstery cleaning technicians are trained in the care of all fabric types, even the most delicate, so you can be sure they’ll choose the right upholstery cleaning system for your furniture. Your furniture and upholstery is as important to a room’s appearance as your carpet receiving daily wear and tear thus acquiring many pollutants that alter the condition and life span of your furniture. then be pre-treated with our eco-friendly spotters. is applied to the fabric to loosen imbedded dirt. 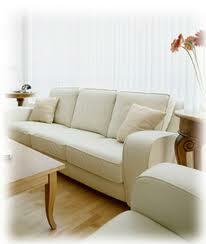 so that no stains or dirt remains in your upholstery. Our technicians travel the following areas, Brisbane, Brisbane Southside, Brisbane Western Suburbs.